The Jewish holiday of Passover starts Monday, and the Transportation Security Administration is ready for great amounts of matzoh to take to the skies. As it does with other major religious events, TSA has an advisory out to prepare travelers and employees for what may seem odd to the uninformed during this holiday period. In this case, TSA really wants you to know how fragile the unleavened bread is, among other things. 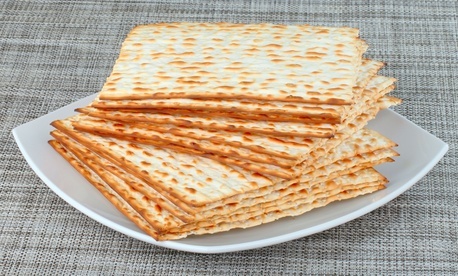 Some travelers will be carrying boxes of matzoh, which are consumed as part of the Passover ritual. Matzoh can be machine or handmade and are typically very thin and fragile, and break easily. Passengers traveling with religious items, including handmade matzoh, may request a hand inspection by the TSO of the items at the security checkpoint. TSA also describes the "unique items" that may accompany Jewish travelers, including head coverings, prayer shawls, and phylacteries. But most importantly, watch out for the matzoh. No Pesach would be complete without it.